Maximize Your Compensation. Call (320) 244-4812. If you were recently injured in your workplace, you may be wondering how you will make ends meet with the time you must take off for recovery. You also may be concerned with much more if you were permanently disabled during the incident. 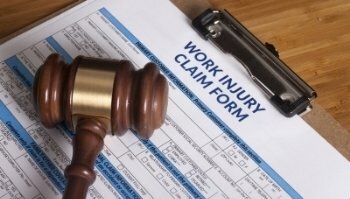 Filing a workers' compensation claim can be the solution to these obstacles. It can be very difficult to properly file a claim, and it is not uncommon for insurance companies or employers to attempt to deny the full amount of compensation. This is why having a skilled and passionate lawyer on your side is of the utmost importance. With the practiced eye and in-depth knowledge of our Willmar workers' compensation lawyer from Schneider & Madsen, your chances of getting the fairest outcome are maximized. We can assist you through the claims process and guide you step-by-step. At Schneider & Madsen, our Willmar workers' compensation lawyers have been helping clients for decades. We are known as the "workers' comp guys" and our team has handled virtually thousands of cases. We are passionate about the success of our clients, and our Certified Civil Trial Specialist can fight for your rights on your behalf. At our firm, we work on contingency fees, which means there are no fees to our clients unless we win. You can start on your case by telling our team about your situation during a free case evaluation, and we can get back to your with your options on how to proceed. We proudly serve all of Willmar, Marshall, and Worthington. Contact us today to reach our skilled workers' compensation attorneys.